Labral injuries are a common pathology associated with both traumatic and repetitive events. These injuries often require surgery or focused conservative treatment and lead to lengthy recovery times. In this webinar, Jeremy Braziel, Athletic Trainer at 201 @ The Shoulder Center of Arkansas, will discuss how to effectively integrate aquatic therapy into a labral repair rehabilitation program in order to improve patient outcomes. Jeremy will review the various aspects of labral injuries and glenohumeral instability including contributing factors, symptoms and diagnosis. He will provide specific and practical exercise strategies utilizing various equipment and patient positions that can be applied to various stages of the rehabilitation protocol. Jeremy will discuss how these strategies have been developed to safely, efficiently and effectively bridge the gap between rehabilitation and return to participation. Address potential contributing factors contributing to kinematic and pathological deficiencies commonly associated with labral injuries. Identify the benefits of an aquatic environment that can be used to improve patient outcomes after labral repair. Apply specific aquatic exercises to increase function, stabilization, conditioning and strength after labral injury surgical repair. Continuing Education: This course is intended for athletic trainers. 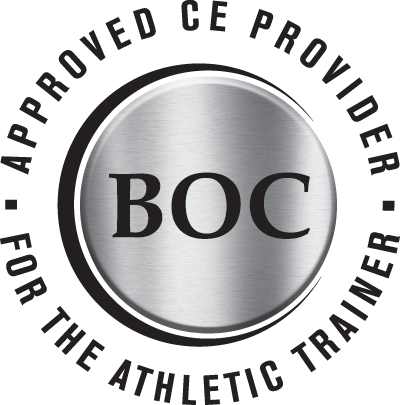 1 CEU is available through the BOC for athletic trainers who watch the live webinar in its entirety. Jeremy Braziel is a Certified Athletic Trainer with the Shoulder Center of Arkansas. His primary focus is the advanced rehabilitation of athletes, predominately in overhead and rotational sports. Jeremy has created his own throwing assessment that is grounded in years of research and experience. An evidence based approach that has been organically combined with his collegiate and professional experience enables Jeremy to offer an exclusive and personalized approach to each patient. Jeremy has worked extensively in both collegiate and professional athletics prior to joining the team at Shoulder Center of Arkansas. He received his Bachelor of Science Degree in Athletic Training from Oklahoma State University before performing his graduate work at Ohio State University. Jeremy also has certifications in functional movement screening, golf fitness and junior development.